My six year old daughter, Hannah has finally started to play with her dolls much to my delight. She loves to role play and always prefers realistic-looking dolls so that she can pretend to be the mother, doctor or teacher. I love that playing with dolls promotes creativity and the use of her imagination. Charisma offers a wide selection of dolls for collectors as well as dolls meant to be loved and cherished by their human friends. One of our favorite brands over the years has been Adora which has many specialty dolls that absolutely gorgeous. Hannah loves the Adora TWINKLE TOES Doll ($99.99) because this toddler doll is so realistic…..the details are absolutely extraordinary. 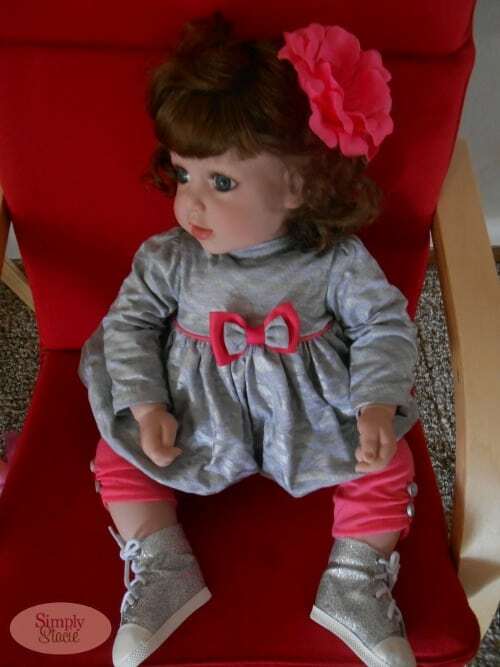 TWINKLE TOES is a 20” vinyl doll (she has a soft body) with gorgeous, detailed features including stunning eyes and facial features, realistic hair and the most adorable accessories like the pretty pink hair bow, silver sparkling shoes and removable clothes. Her arms and legs can be repositioned and she is pleasantly plump and just begging to be hugged and cuddled. The fresh baby powder scent is nice yet not overpowering and my daughter’s asthma did not have any adverse reaction at all. TWINKLE TOYS arrived with an instruction guide to help us know how to take care of the doll’s hair along with other important care tips. Adora is an award-winning doll brand that proudly makes dolls in the U.S.A. including TWINKLE TOES who was created in the art studio in California. I love that the dolls are handmade by artisans who are obviously passionate about each creation as evidenced by the final doll. Adora makes the kind of dolls that children are sure to love for many years and have an heirloom quality that is very appealing to me. You are invited to visit Charisma to learn more about TWINKLE TOES and browse the entire selection of fabulous dolls including brands such as Marie Osmond, Kewpie, Whispering Willow Fairies, Penny Brite and more. Hannah and I had fun checking out all of the fabulous dolls and accessories and she added a few affordable and fun accessories for her doll to her birthday wish list. Connect with Charisma Brands on Facebook and Twitter. These dolls look like classic porcelain dolls with a modern look! Nice! Adorable! I had one similar when I was a little girl and loved it! I want this doll for myself! It’s gorgeous! What an adorable doll! I think my niece would love her too! What a beautiful doll! I still have dolls from my childhood and I bet one of this would be a keeper for my grandkids. What an exquisite collectible doll! Working on my Christmas list and will checkout Adora! So beautiful! And those eyes are to kill for. My niece would love it! My oldest 6 year old would LOVE this! So cute, thanks for the review! This doll does look lifelike and it is so cute. My niece would love to own one of these dolls because she is playing with her dolls now! I just think this doll is gorgeous! My niece would love this doll! Such a pretty face and adorable clothes,awesome craftsmenship. THis is a lovely doll and I love that it is made In the USA. I can understand why your daughter loves it. My father used to call me Twinkle Toes so this brings back good memories. Very cute doll – love her shoes. 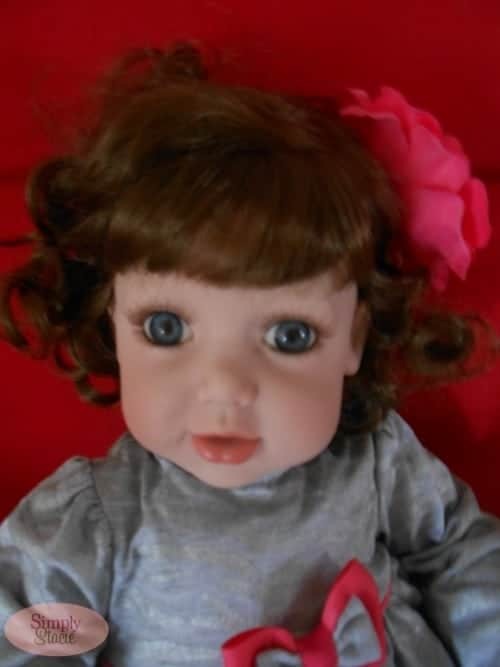 A few years ago I purchase a Marie Osmond Adora doll for my niece, it is still one of her most treasured dolls. The Adora dolls are so realistic and adorable. Twinkle Toes looks so cute and little girl would just love her.